The West African Civil Society Forum (WACSOF) is a platform for the aggregation of civil society agency, interests, and interventions across the 15 states of West Africa. It was founded with the sole purpose of channeling civil society energies towards complimenting the regional integration and development agenda of the ECOWAS ‘System’ Institutions. The organization has passed through different stages of developments in its internal organizational processes and programmatic experiences. This section will describe WACSOF’s establishment and development over the years since its founding in 2003. The West African Civil Society Forum (WACSOF) is an umbrella network of civil society organizations (CSOs) from the fifteen member states of the Economic Community of West African States (ECOWAS). The idea of creating the West African Civil Society Forum was based on the need to create an institutionalized dialogue between sub-regional CSOs and ECOWAS. In an effort to formalize entry points for this interaction, a two-day consultation was organized in May 2003 at the ECOWAS Secretariat in Abuja. The consultation brought together over 45 participants, including members of CSOs, ECOWAS Zonal Officers, government representatives, donors and experts from the sub region to discuss and strategize on issues of regional human security. The consultation concluded with the adoption of a communiqué encouraging ECOWAS and CSOs to institutionalize their relationship and to pursue a coordinated human security agenda. To consolidate this process, the consultation formed an ad hoc committee of ECOWAS and civil society members, and the concept of the West African Civil Society Forum was born. The WACSOF Secretariat, located in Abuja, Nigeria, is responsible for the day-to-day administration management of the Forum’s activities and properties. The overall aim of WACSOF is to provide a CSO compliment for ECOWAS’ efforts towards deepening regional integration and fostering stability and development in West Africa. Since its endorsement by the Authority of ECOWAS Heads of State and Government in 2003, WACSOF has served as an umbrella for CSOs seeking to partner with the ECOWAS, promoting a system of dialogue and discussion, encouraging the sharing of ideas and perspectives and facilitating the building of collaborative relationships and linkages to ensure quality inputs of the civil society in to the agenda of ECOWAS. WACSOF has served as the pivot for networking between and among CSOs on the one hand, and between CSOs and the ECOWAS on the other hand. To clarify the nature and structure of WACSOF, below is a presentation of the Vision, Mission, Objective and the Organizational Structure of WACSOF. 6. To actively promote a sense of community citizenship between ECOWAS Member States and CSOs. Right from foundation, WACSOF’s organizational structures were carefully designed to provide a pivot for all civil society activities within the West African Region, especially those that relate directly with human security, development and regional integration. The organizational structures of WACSOF include: the Peoples’ Forum, the Executive Committee, the Executive Secretariat, the Thematic/ Working groups and The National Platforms. Below are a description of all the organizational components and structures of WACSOF. The Peoples’ Forum is the supreme organ of WACSOF which is composed of all representatives of CSOs registered with WACSOF, mostly through delegation. The Forum meets annually, prior to the statutory meetings of the ECOWAS Authority of Heads of State and Government to review the activities of the Regional Secretariat, induct new members, appoint new leadership, review the activities of ECOWAS Member States, and make recommendations to the annual ECOWAS Heads of State meetings. Committee is composed of four (4) Anglophone representatives, four (4) Francophone representatives, (2) Lusophone representatives and one (1) representative each for Women, Youths and Diaspora interests, making thirteen (13) members in all. The Executive Committee supervises the implementation of the organization’s activities by the secretariat in between the people’s forum. The work of the Regional Secretariat is supported by specialized thematic/ working groups, which are organized along different themes, sub-themes and specific processes and programs. Among other areas, the following thematic groups are deemed as relevant areas of engagement for WACSOF/ ECOWAS and CSOs relationship: Agriculture and Food Security; Environment and Climate Change; Women and Gender; Democracy and Governance; Human and Peoples’ Rights; Peace and Security; Health and HIV/ AIDS; Migration and Free Movement; Economic Development; Trade and Investment. National Platforms are the transpository structures of WACSOF at the national levels and are to be constituted in each West African State. The National chapters are comprised of groups or coalitions of the different civil society actors within Member States that are members of WACSOF, and are in place mainly to facilitate the implementation of WACSOF’s activities within their specific national spheres. 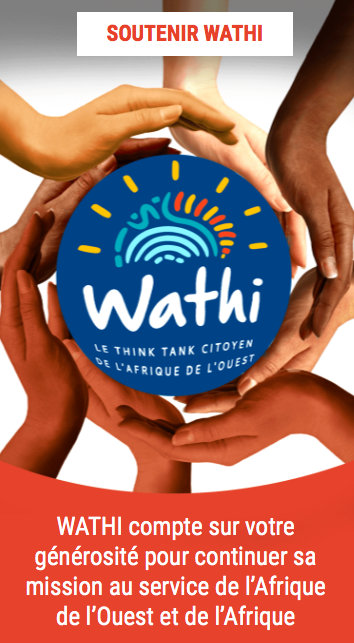 WACSOF’s National platform are established in view of identifying areas of collaboration between civil society as diverse as it is, the private sector, National Authorities in member States and West African regional organizations such as ECOWAS and UEMOA. The Secretariat of WACSOF is located in Abuja, Nigeria. It is composed of a General Secretary and all other members of staff responsible for the day-to-day activities of the Forum. It provides secretarial services to all working committees, prepares, and presents reports and advisory opinions as necessary to the various structures of WACSOF. WACSOF envisions a well organized and vibrant civil society in West Africa, which contributes to the attainment of a stable and prosperous West African region characterized by democracy; human rights; good governance; the rule of law; constitutionalism; economic prosperity; and social justice”. This vision is with the ultimate aim of facilitating the building of dense associational networks, promotion of solidarity, trust and reciprocity among CSOs such that they can better enhance the efforts of the ECOWAS towards fostering regional integration and development in West Africa. WACSOF’s mission is to serve as a receptacle for civil society organizations feeding in to the ECOWAS System processes, and to empower them to exploit the public space at the National and Regional levels, in order for them to contribute to an integrated, stable and developed West Africa. WACSOF’s mission is therefore to create the avenues through which CSOs can more constructively engage with the authorities at the national levels as well as the Institutions of the ECOWAS System.